In those days, the U.K. boasted the headquarters of some world-renowned chemical companies — in particular, Imperial Chemical Industries, now defunct (see: “ICI Fades into History”) — as well as leading engineering firms such as Davy Powergas, also long gone. True, major global operating companies such as BP still call Britain home but, to my mind, the country no longer is as much of a powerhouse of production and innovation in the chemical industry. The unfolding debacle of the U.K.’s exit from the European Union (EU), or Brexit, likely will hobble its chemical industry in myriad ways. One obvious example is that Britain’s withdrawal could hamper chemical exports if the country doesn’t strictly adhere on an ongoing basis to the EU’s REACH (registration, evaluation, authorization and restriction of chemicals) regulations as well as forge an effective relationship with the European Chemicals Agency (“What Happens to REACH Post-Brexit?"). 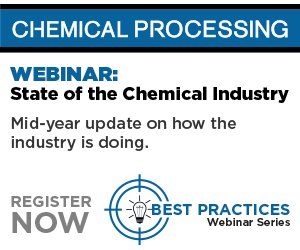 Unfortunately, the chemical industry undoubtedly will face numerous negative repercussions, with many of them not fully appreciated or even known yet. Similar consequences will impact U.K. industry in general. Already, some multinational manufacturers have pulled back on planned investments. For instance, Japan’s Nissan scrapped plans to produce a new car model at its Sunderland, U.K., plant, citing uncertainties caused by Brexit. In addition, the financial sector, a key strength of Britain’s economy, already has seen some jobs go elsewhere. Moreover, the U.K.’s world-class universities such as Oxford and Cambridge already are reporting problems in attracting and retaining key researchers from the EU. They also will lose out on EU research projects that provide substantial funding. The public also will get whacked with higher prices and perhaps even shortages of some goods that had been imported without duty and delay from EU countries but that will now have to pass through customs. (If you haven’t been following Brexit negotiations very closely, one of the main sticking points has been how to handle the border between Northern Ireland, which is part of the U.K., and the Republic of Ireland, an EU member. Unencumbered passage of people and goods between the two is seen by many as critical to maintaining the 1998 “Good Friday” peace agreement between the two countries that helped quell the violence in Northern Ireland. Some fear that setting up a “hard” border would undermine that, while proponents of Brexit argue that without a hard border Northern Ireland, in effect, would remain part of the EU. Incompetent leadership by the U.K.’s governing Conservative Party, coupled with paralysis in Parliament (due not just to posturing along party lines but to deep divisions between pro- and anti-Brexit Conservatives in the House of Commons) has led to the current, sorry state of affairs. If anything positive can be said of this fiasco, it’s the hope that governments in other nations will realize they must become more circumspect both before launching major unilateral actions and then in competently following through on any they do take.